Existing apps have two major problems, according to Nanu. “First, they struggle in congested 3G networks and just don’t work in 2G. Second, you can only call app-to-app for free. 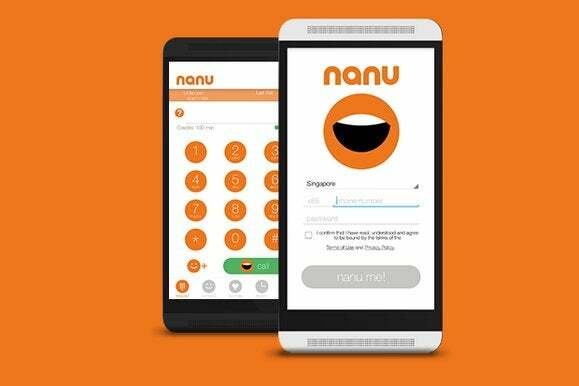 App-to-non app calls such as calls to landlines and mobile phones cost money,” the founders of Singapore-based Nanu said. The first million users will also get 15 minutes of Nanu to non-Nanu calls for free. These minutes can be used to call landlines in 41 countries including the U.S., U.K., France, Germany, Australia and New Zealand. In addition, free minutes can be used to call mobile phones in the U.S., Germany, India and six other countries, according to Nanu’s site. Nanu makes its money by playing ads over the ringtones while users are waiting for calls to connect. “As more and more people use Nanu, we will be able to offer more and more free Nanu to non-Nanu calls,” the Nanu team said. More recently, British mobile firm Ovivo closed its ad-subsidised services without a warning in March for unspecified reasons. The service displayed ads in customers’ mobile browsers every ten minutes. The deal included calling, text and data packages for a £20 up-front fee, £15 of which would be turned into credit balance.